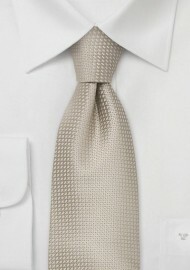 This light wheat color silk tie is the perfect addtion to any spring and summer outfit. 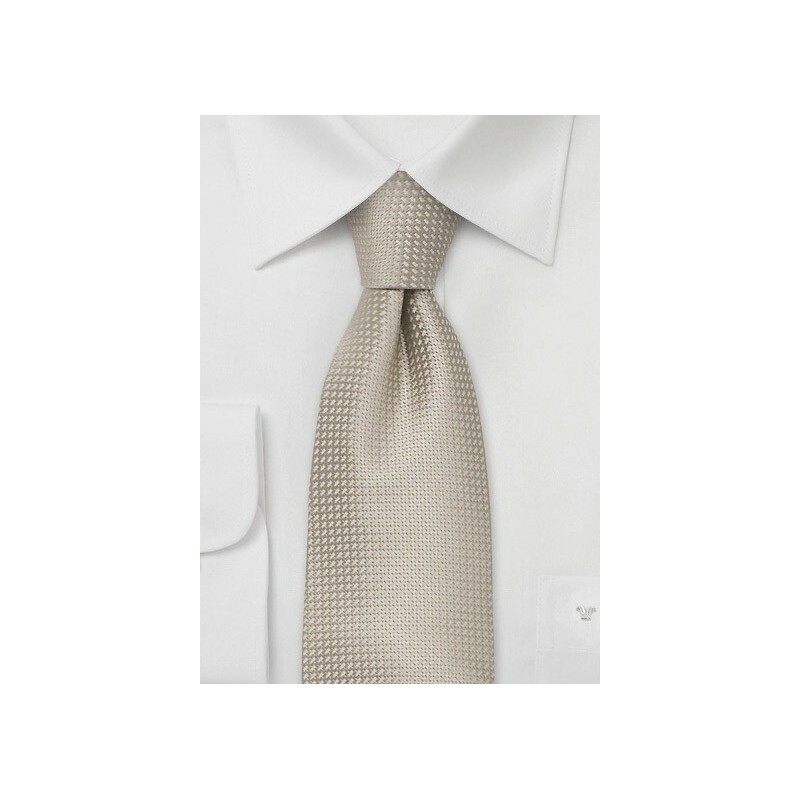 A fine white cross-pattern is woven into the fabric giving the tie more structure, slightly less shine, and a perfect drape. This tie is handmade by necktie designer Parsley Luxury Neckwear. Parsley only uses finest silk in making their ties and each tie is a piece of art made to perfection. To match this tie we also recommend the following Cream Colored Pocket Square.